Can i tuck a commander? Is it acceptable to reveal cards from your hand in EDH? I like soul sisters, but I had some opinions on some cards in this deck. Cathedral Sanctifier just does not feel like it does much. 3 life is not that much, especially when you are gaining so much life. Rhox Faithmender feels like a "win more" card, as it is only really good when you are gaining a lot of life, and when you are gaining a lot of life, you are winning, so it becomes irrelevant quickly. It might be nice in the sideboard to maximize your lifegain against burn, and a big but makes it less likely to die to Lightning Bolt . Crested Sunmare is only good if you can play a creature every turn, and I would recommend Archangel of Thune over it. 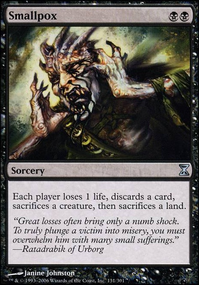 Blessed Alliance is most commonly going to be used to force an opponent to sacrifice an attacking creature because you have an overflow of life already and your creatures are usually frail, so you don't want to chump block with them. Condemn can have the effect of Blessed Alliance for cheaper. You also get to choose the target. Aerial Responder , while having a good rate, unfortunately doesn't cut it for modern, as you want your creatures to have an effect besides just attacking. 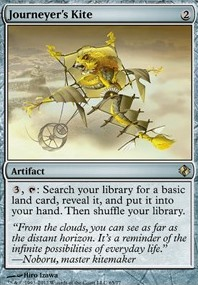 To keep my hand filled, I use cards like Thraben Inspector and Squadron Hawk (a playset for obvious reasons). 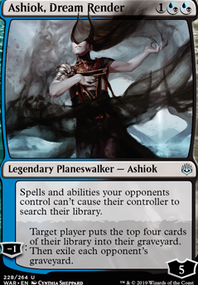 To lean heavily into the life gain archetype and guarantee more redundancy, you will want a full playset of each of your main sisters. Also, if you want to gain lots of life at one time, instead of Cathedral Sanctifier , you can run Martyr of Sands , allowing you to turn a Serra Ascendant on on turn two if you'r lucky. Sorry for this essay on the inner workings of soul sisters. I feel like more Proclamation of Rebirth s over a Prison and Circle could clean up this list when going against 8whack gobbos. Condemn is a good budget option for Path . Ajani's Mantra - Too slow. Way too little impact. We don't have triggers off life gaining a lot so we can replace this. Rise of the Hobgoblins - We aren't really interested in the effect towards our gameplan. The first strike can be nice. But not the best thing we can be looking at. Scourge of the Nobilis - We don't have anything that we really benefit from putting this on. Brion already has lifeling, and his sacrifice ability is based on the sacrificed creatures power so we don't want to pump him either. Then putting it on a creature we want to sacrifice is setting ourselves up to loose out on cards by 2 for 1nning ourselves. There are some other enchantments that we may play that recur themselves but we will come back to those later. Searing Meditation - I really want to like this card but it seems rather low damage for mana investment keeping 2 up all the time. However if we end up with a lot of ways to gain lots of individual triggers. Then this could be worth it. A couple of these are just upgrade them but keep the same idea. These ones are all effects that we want but probably not this exact version. And we might want more of them. Shatter could be Abrade as it gives more flexibility. Or one of the ones that include white that can hit enchantments too. Others should probably just be replaced, maybe with more version of the above effect. Pact of the Titan - The free 4/4 with flash is pretty good. But unlikely to win you the game with it. It effectively costs you 5 mana for it and because it doesn't have Haste it isn't winning you the game before you have to pay for it. Soul's Grace - A card that only gains you life in one burst is usually not worth it. If it did something else too then maybe. But not just life gain. Giant's Ire - Just isn't worth it really. It doesn't do enough for the mana. Feudkiller's Verdict - While this effectively could be a 6 mana 5/5 that gains you 10 life on enter. Which isn't bad, it could still sometimes be stuck in hand unable to make the 5/5. So while this can be decent, It can be bad. We can afford to cut 2 or 3. I usually recommend 36-7 with around 10 nonland mana sources. Because this runs a lot of big guys, we want to consistantly hit our mana so we want 37. Paradise Plume - We want mana ramp, this is possibly just too slow though. Rocks that tap for 1 colour are usually 2 mana. Our 4 mana rocks tap for multiple mana usually. I'm back! I'll let you know the results of the tournament on the deckwatch page. As for the cuts here is the 10 cards I would consider. 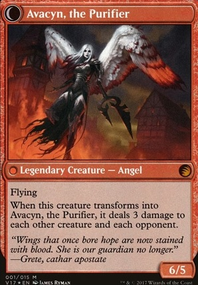 Avacyn, Angel of Hope - I love her, no joke I can see why you would run her, but doesn't really benefit your gameplan. Those would be the cards I would recommend cutting. 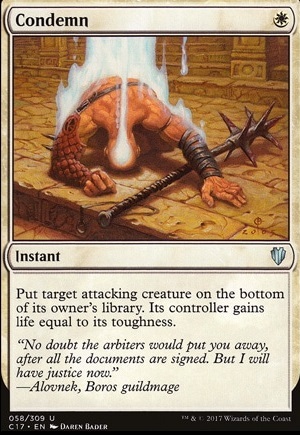 I would however also consider adding in cards like Faith's Reward as anti removal tech as well as Smothering Tithe cuz that cards is just good. The ones I am iffy about removing is the rector as well as Avacyn cuz she bae. But those are my thoughts!